Background: Earlier this semester, I applied for an Special Interest Section Student Intern position through AOTA’s relatively newly-formed program. Although I was not selected for the position – congratulations to anyone reading this who was! 😀 – I am writing this post simply to provide feedback to the program’s coordinators and organizers so that it can be of more use to the students, SIS leaders, and stakeholders who are involved in the future! In 2012, AOTA started a “Special Interest Section Student Internship Program” in order to “increase student interest in the SIS and to develop future leaders.” Although I think that these goals are commendable, as a student applicant I experienced a great deal of frustration with the application process and the program’s organization as a whole. My main issues with the AOTA SIS Internship program stemmed from its lack of sensible organization, lack of information for current applicants from past or present interns, and unclear program structure and outcomes. I hope that in writing this I can bring these issues to the attention of the people who are involved in the program’s administration, who might then consider altering some aspects of the program for future applicants to make the program more valuable for all involved. Lack of information about open positions for applicants. Lack of information about position duties or expectations for applicants. Lack of contact information for previous interns. Lack of information about program outcomes, participant experiences, and program effectiveness. 1. Inform all applicants of their outcomes in a timely manner. By two days after the notification deadline, I had not heard anything back about the position, which seems to be an indication that I was not selected. Whether or not students are chosen for the intern position, I think it is only respectful to inform them of the results of their efforts. 2. Send a confirmation message to let applicants know their materials have been received. Honestly, it was a little unsettling to submit my materials to a program director who I’m sure is very busy and who likely has an email inbox that is overflowing with messages at all times. There were no instructions about how to title the application email so that it might be sent to a specific inbox, and no way to tell whether my email ended up in a spam file or elsewhere. For example, the website stated that “Applications should be submitted directly to Dr. Donna Costa, the Chair of the Special Interest Section Council. Dr. Costa will forward applications to each Special Interest Section Chair (SIS).” However, I did not specify which SIS’s I was interested in interning with, because there were no special instructions directing me to include this information in the heading or body of the message. Therefore, I’m left wondering how my application was handled after it was sent, and whether or not it even made it to its ultimate destinations. This isn’t to say that I think the program contact is not capable of doing her job and forwarding the appropriate materials to their recipients. However, it may be more prudent in the future to switch the program to a process that does not place such high demands on one person. 3. List the SIS groups that are actually seeking interns and the number of intern spots available so that students who are interested only in particular SIS’s don’t waste their time applying to those that don’t need them. It was very unclear about which SIS’s needed or would accept interns, and I did a LOT of searching to try and find out! As a student, not knowing which positions were open was like writing a cover letter and resume to apply for work at a facility that I didn’t know was hiring – it COULD pan out, but it makes more sense to see which positions are actually open and avoid wasting your time and energy otherwise. In the future, it would be a much more efficient use of everybody’s time to clearly describe the Special Interest Sections that are seeking student interns. In 2012, when the program was first created, the program organizers seemed to have taken this into account, because they included a list of the positions that were accepting applicants. I’m not sure why this changed in 2014, but it was certainly not a change for the better. 4. Include actual concrete information about what students do, have done, or will be expected to do. I recognize that because there are so many SIS’s with many different goals and needs, it is difficult to make specific statements about what a student intern might do with each group. However, AOTA provided virtually no information about what student interns did, how they benefited from the experience, or the contributions they made. I think that having interns be featured in a special edition of the Student Pulse newsletter or on the AOTA website, for example, would give potential applicants a lot more valuable information about whether or not the internship a good use of their time. Simply having the student interns write a 350-500 word essay about their experience or including links to or information about projects that they contributed to would also be helpful. What is the amount of time contributed per month or week by a student? How does one organize data? Are skills with Excel, Qualtrics, etc. valuable or necessary? Of course, interested applicants always have the option to contact SIS leaders for more information about the positions, but including just a little more basic information from the start might lessen the load on SIS leaders having to respond to emails from interested students asking the same questions. 5. Create a basic “Job Description” form for SIS leaders to complete that students can consult for information. Having SIS leaders who are seeking interns complete a “Job Description” form about the position would be very helpful for applicants. It could include information about previous or ongoing projects, the focus of the SIS for the upcoming year or term, applicant skills sought by the SIS leaders, and contact information for previous interns. Program administrators could then provide links to these forms on the program’s application page. This is a simple solution that could alleviate many of the problems I have described above with the ambiguity of the position and lack of information available for interested applicants. 6. Include contact information for current and/or former interns. Often, one of the first things a person does when looking into whether or not they would like to work at a particular place is talk to the people who already work there. Not having the contact information for any of the interns made it difficult to learn more about the position – which was especially frustrating because AOTA included virtually no information about the positions online – and how the interns were able to make a difference. There is one OT Practice article about the start of the program, and if you searched and found this article, you could presumably find a way to get in touch with the students who were the pilots on the program for their input. However, I feel that it shouldn’t be as difficult as it was to track down students, find information about their work with the SIS, and locate their contact information to ask them questions. Although I am an experienced Internet sleuth who was able to find information about multiple SIS interns (on LinkedIn, OT program newsletters, news releases, etc. ), I think that AOTA leadership should make available a list of three or four interns who are willing to communicate with applicants about their experiences. 7. If this program is supposed to be having an effect (positive or negative) on the student participants, Special Interest Sections, or profession as a whole, its administrators should be keeping track of quantitative and qualitative data and outcomes so that they can assess what effects (if any) the program is having on people who are directly and indirectly involved. If our professional organization is advocating for increased accountability of practitioners for outcomes and evidence-based practice, they should be walking the walk in all aspects of their administration. AOTA stated that they created the program in order to “to increase student interest in the SIS and to develop future leaders,” but there appears to be no information [publicly and readily] available about whether or not these goals are being achieved. In one 2012 document I found online, it was described as a “pilot program,” which implies that its outcomes would be used to determine future directions. 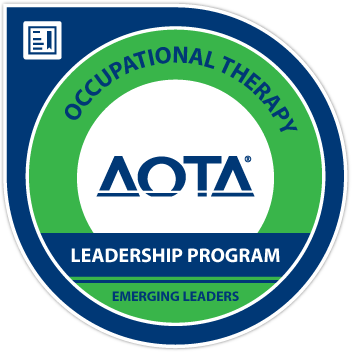 With the continuance of the program, it would appear that there were some positive outcomes, but these were not described or identified anywhere that is apparent to AOTA members, practitioners, students, or other stakeholders. This same document also stated that “After completion of a one-year pilot program, interns and chairperson/mentors will complete surveys to analyze the outcomes of the program.” What became of these surveys? Who analyzed the data? What were the outcomes? 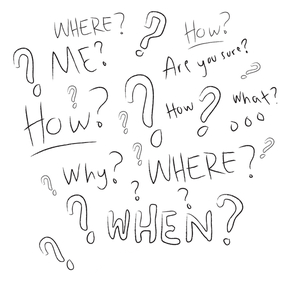 Not having answers to these questions makes the continuance of this program questionable at best, and an unproductive use of resources at worst. Of course, the length of time between program implementation and the development of reports or useful data can vary greatly, but at the minimum I would expect basic information from these surveys, for example about how the program has been beneficial for participants, challenges participants faced, and future directions, to have been collected and reported in the three years since the program’s inception. In addition to publishing general program outcomes and goals, I think it would also be helpful to collect and record information about applicant demographics and volume in order to assess program development and progress and make meaningful improvements to the program. In conclusion, I feel like the AOTA’s SIS Student Internship program has great potential to be something that is beneficial to not only the participants, but to many other OT students and practitioners. In its current form, however, the program suffers from multiple structural and implementation problems. In the future, I hope that important changes can be made to this program that makes it a more valuable experience for students and professionals alike. There’s a lot to do before the interview! Check out the other posts in my Gotta Get Into Grad School Series to learn about the rest of the occupational therapy graduate program application process! It’s officially 2015, and that means many occupational therapy students are gearing up for interviews at OT schools across the country. I went through the interview process less than a year ago, and I hope this post will help prepare you (and calm your nerves) if you are about to go through the same thing. There are three sections with advice on what to do before, during, and after your interview day that I hope will give you useful information about the occupational therapy graduate school interview process! If this is what your brain looks like on OTCAS, read on! Do OT programs care where I went to school before applying? Which are more important for my OTCAS application – great grades or great essays and recommendations? What is the difference between OTCAS grades and institution grades? Can I substitute a higher level psychology or anthropology course for a program’s introductory course requirements? What is the easiest way to enter all of my course credit and transcript information into OTCAS? Read on to find out the answers to these questions and more! Again, please consult OTCAS and specific program websites for the most accurate information about entering course information, prerequisite courses, and the application review process. And now I present to you the fifth installment in the Gotta Get Into Grad School Series: Academics and OTCAS! 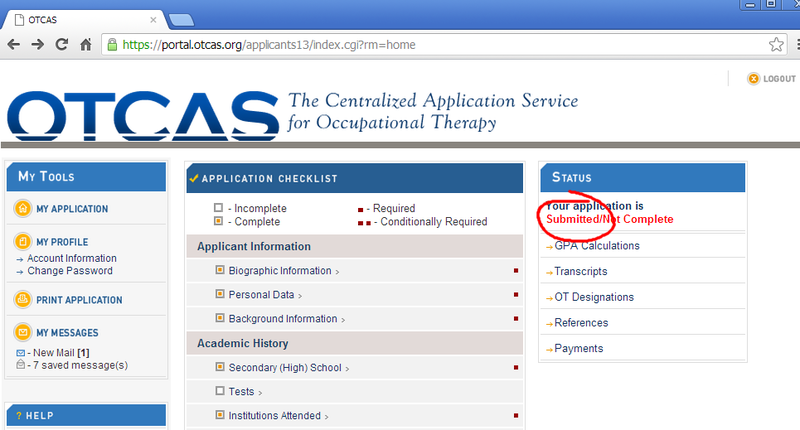 This post is the introduction to several others in the Gotta Get Into Grad School Series that will provide a very thorough, in-depth guide to future occupational therapy students who are using the Occupational Therapy Centralized Application Service (OTCAS) system. My goal is to help people who have never used the system or those who are currently using it avoid common mistakes, organize their application in a way that will be most helpful to reviewers, and feel confident about the quality of the application they submit! First things first: Why should you trust my advice on the OTCAS application process? I am a VERY RECENT user of the OTCAS system. I applied to OT programs using OTCAS less than one year ago, and I have a wealth of up-to-date personal experience that I can offer to those who have never used it before or those who are confused or overwhelmed by it like I was! I have experience reviewing applications in the very similar PTCAS system. In a previous position I held, I was responsible for matching applicant submitted prerequisites to the school’s list of prerequisite sources in the PTCAS system for 70+ applications. I could also view the previous institutions attended and grades for each applicant. Therefore, I was able to see the common mistakes applicants made and other issues that often arose during the online application process. I currently work in an office that serves the needs of students who are in health professions programs alongside coworkers who are experienced in the application process and who handle applications for each of the professional programs. My coworkers have given me a great deal of “insider” information about the behaviors of applicants they speak to, the online application systems and the general application process. Most of them have been working here for several years, and I trust their expert advice on all of the aforementioned topics! This post is the second in my series on getting into occupational therapy graduate school. Part I can be found here. …this is the kind of situation this post will hopefully help you avoid. 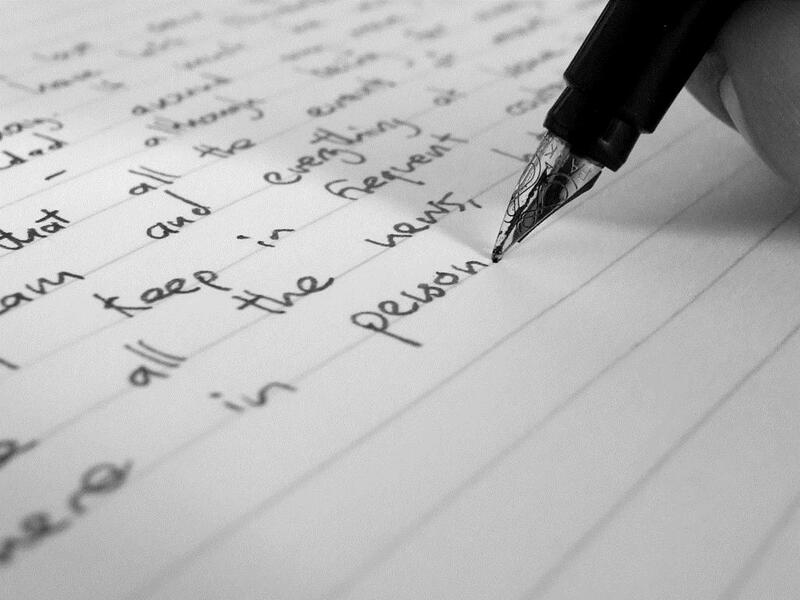 One of the most crucial parts of any academic or employment application is the letter of recommendation you receive from your previous instructor, supervisor or employer. Aside from not having a compelling essay or competitive grades, having a poor letter of recommendation is one of the worst things that can happen to your OT school application. Schools are meeting you as almost a complete stranger, with only the word of others to go on – and if those words are telling them to run away, they’d be crazy not to! In this post, I’m going to include some tips for how to choose a recommender, request a recommendation and manage recommendations across multiple graduate school applications.